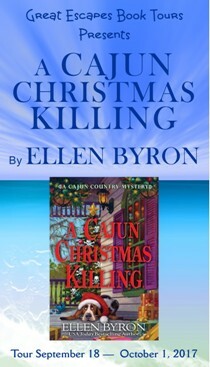 Great Escapes Virtual Book Tours presents A CAJUN CHRISTMAS KILLING: A Cajun Country Mystery by Ellen Byron. My series was originally titled “A Plantations and Pralines Mystery.” My publisher asked me to change that for a couple of reasons, one of which is he was afraid people would think I was writing historical mysteries. Since the series is set in Cajun Country and that region is so identifiable, it seemed the perfect choice for a series title. The fantastic artist behind my covers is Stephen Gardner, who works his magic for several cozy authors. (I particularly adore his artwork for Alyssa Maxwell’s Guilded Newport Mystery series.) I really wanted my covers to depict images from the region where my series is set. Since my protagonist Maggie Crozat works at both her father’s family’s plantation-turned-B&B and her mother’s family’s plantation-turned-historical site, incorporating these iconic locations seemed to be a no-brainer. But we always need to add a modern image to the cover as well, so people don’t get confused and think the series is historical. For some reason that escapes me, when I shortened Grandmere’s name to Gran’, I added that apostrophe. I think I thought it was more dignified; without it, “Gran” looked like “bran” or something. Gran’ has become a much stronger presence than I originally envisioned her – she’s now one of my favorite characters - so remembering to add the apostrophe every time I type her name is a pain! 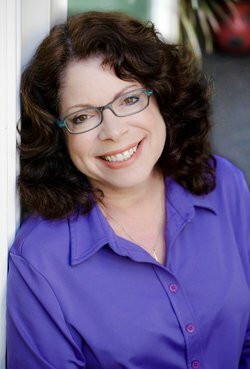 You can “Like” my Facebook author page (https://www.facebook.com/ellenbyronauthor/), follow me on Twitter (https://twitter.com/ellenbyronla) – although I’m much more of a presence on Facebook – and visit my website (http://www.ellenbyron.com/) I love to hear from readers! And if you’re interested in Cajun Country, sign up for my newsletter. The link is on the homepage of my website. My “Cajun Country Newsletter” isn’t just about my books, it’s about the region. In fact, sometimes I get so caught up in sharing news about interesting restaurants and visitor sights that I have to remind myself to actually mention my own series! BTW, I also enjoy helping readers create itineraries for Cajun Country and New Orleans vacations. If my books spark an interest in traveling to the area, let me know and I’ll share some tips. 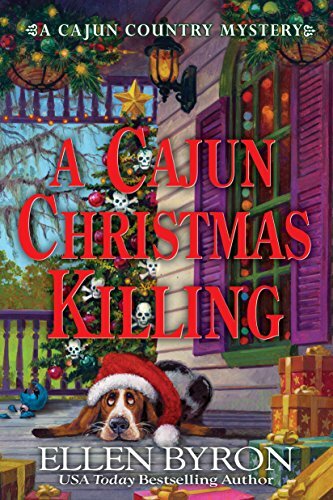 A Cajun Christmas Killing, the third book in my series, officially launches October 10th although it’s available for presale now. It received a starred review in Publishers Weekly, which was a thrill. Book four, Mardi Gras Murder, will be available in 2018. Buy my books! Take them out of the library! Share them with friends, family, and social media. I’ve done real and virtual book club appearances, so feel free to contact me about those. There’s been a huge contraction in the cozy genre; Berkley Prime Crime cut a ton of their writers loose and Five Star folded their entire mystery catalog. If you love a series, champion it. Otherwise, no joke, it may go away. I’ve been mulling over the idea of creating street teams, which are series fans who share news, bookmarks, and more within their area in exchange for special perks from us authors. I haven’t gotten it together yet, but I think that would be fun. First of all and most importantly, write - even if it’s only for fifteen minutes a day. Any progress is progress. Join organizations in your area or online that pertain to your genre. I belong to Sisters in Crime and Mystery Writers of America both locally and nationally. These groups have been a godsend of information and support. I’m on several of their listservs, which is another way to bond with the mystery community. It’s like having a thousand pen pals who share your same passion. Also, develop a small group of beta readers – people whose input you respect and trust. Let them read your work and give notes, and do the same for them. Make sure you don’t submit your work to agents or publishers until it is a thousand percent ready to go out into the world (the aforementioned beta readers can help with determining that). But if you do want to contact agents, querytracker.com is a great, affordable resource for IDing the agent best suited to your work and keeping track of your hunt for him or her.